There are over 1.4 million Arabs who are citizens of Israel, facing the challenge of living in a Jewish state while maintaining their Arabic heritage. In Israel, soccer is king, and Bnei Sakhnin has become the first team from an Arab town to win the prestigious Israeli Cup- and represent Israel in European competition. Fielding Arab, Jewish and foreign-born players, owned by an Arab, and coached by a Jew, Bnei Sakhnin's success has begun to represent a symbol of coexistence, a potential bridge between Arabs and Jews in Israel. But as Bnei Sakhnin begins its first season after their unexpected win, they know it may well be their first and last in the limelight. Underfunded, lacking experience, and with a rift brewing between the star player and the coach, they face unprecedented challenges- impossible expectations have come with their sudden success, and failure to live up to them will carry consequences both on and off the field. 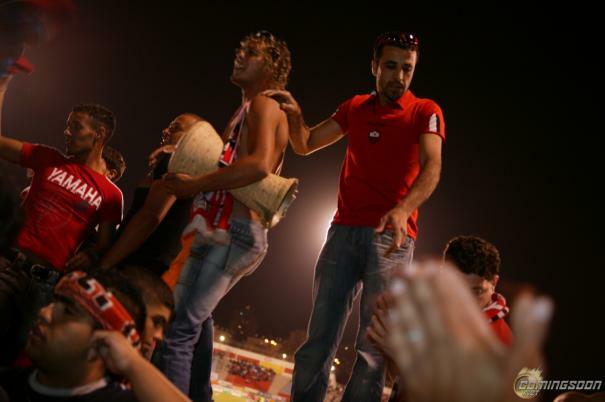 "After the Cup: The Sons of Sakhnin United," directed by Christopher Browne, tells the story of a soccer team that couldn’t create a new Middle East, but showed the world what it could look like.